If you need more support to get around, such as use of hoists and stand-aids, or if you have a more complex condition, Specialist Live-in Care can support you to stay at home. It prevents the need for upheaval and a move into a residential or nursing setting, and is often more cost-effective than an ‘average’ care home. Specialist Carers are on standby 22 hours a day, and are available at a moments’ notice to help with whatever needs doing. 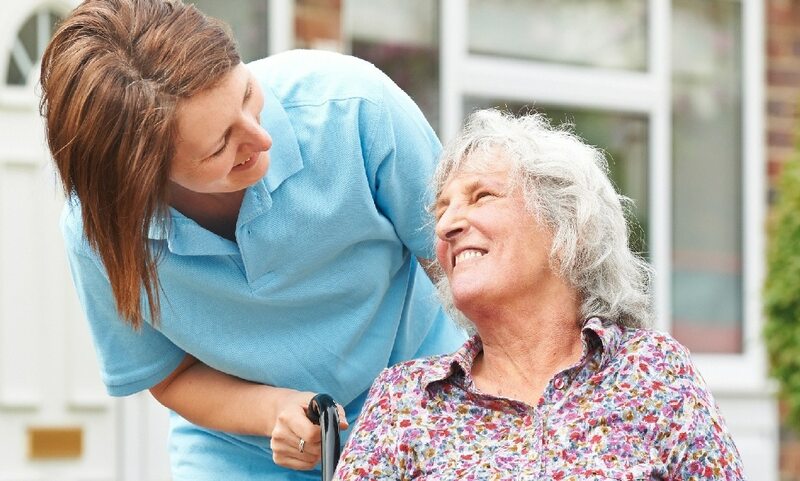 All Good Oaks’ Live-in Carers have at least one year experience of the care sector guaranteed, and Specialist Carers often have further training and experience to ensure that their clients are healthy and happy at home. Specialist care can also include caring for people with specialist equipment such as PEG feed or suprapubic catheters, as well as palliative care. Jean had been living in a care home for the last six months, following a stroke that left her with weakness on her left side. Jean had also been diagnosed with Vascular Dementia. Jean wanted to move back home to her flat, and her family contacted us to ask if we could help her to return home. Jean needed to use a hoist for all transfers, and for this two carers need to be present. After visiting Jean in her care home, understanding her needs, Good Oaks was able to provide Jean with a Specialist Carer as well as Visiting Carers four times a day, to help with Jean’s transfers. Jean got to know her main Specialist Carer well and formed a very strong relationship with her. This was reassuring for Jean when she was sometimes disoriented, as well providing peace of mind for Jean’s children knowing there was a caring, professional Carer on hand at all times. Jean’s Carers often took her out for walks on the beach and for ice cream, which she loves. This wasn’t something that was available at the care home Jean was in previously. With the care that Jean received, she was able to stay at home for over two years. Her carers allowed her to enjoy the company of her family and friends in a familiar environment, surrounded by all the items and memories that helped her with her confusion.